When it was revealed that Benedict Cumberbatch would be playing Marvel’s Doctor Strange over a year ago, it was a case of obvious casting syndrome. There was little surprise or excitement because the live action person looks so much like the comic book character that he was already in everybody’s fantasy cast. 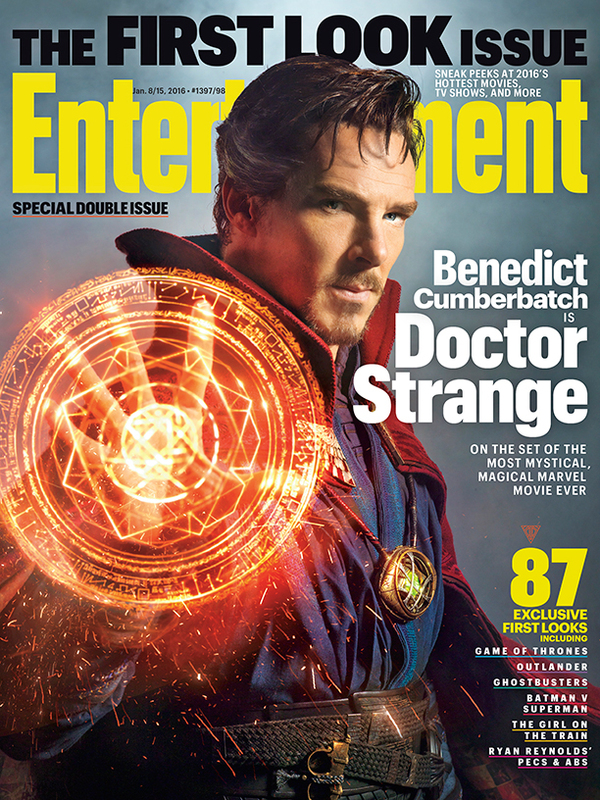 However, with Entertainment Weekly today unveiling our first official look of Cumberbatch embodying the role, it’s time for that excitement to rev up. The Sherlock star looks as spot on as a fanboy could dream in this debut picture. 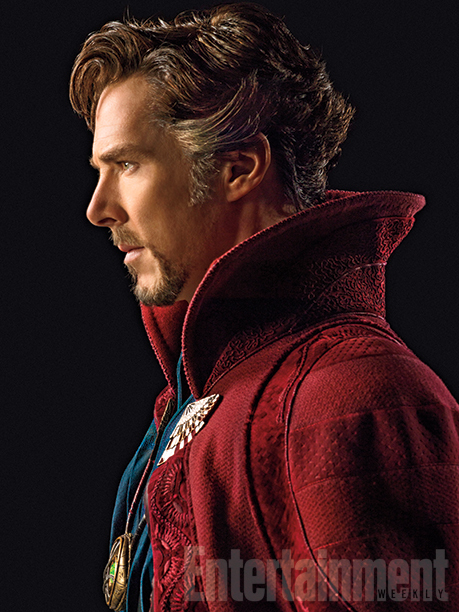 From the ridiculously high-collared red cape to the blue tunic to the gray streaks in the hair, all the trademarks of Strange’s character are there. And yes, that would be the Eye of Agamotto around his neck, designed a bit differently than in the books, but all-powerful nonetheless. The one thing fans may gripe about is the hand gesture, which is simply an open palm as opposed to the two-fingers-and-a-thumb, Spider-Man-esque pose he usually holds up in the books. Never fear, though, as this shot was taken in the very early stages of Cumberbatch’s time with the role. He still has time to get up to snuff, as filming for Doctor Strange began in November and will continue through March. Check out the revealing Entertainment Weekly cover below. Check out even more photos below. 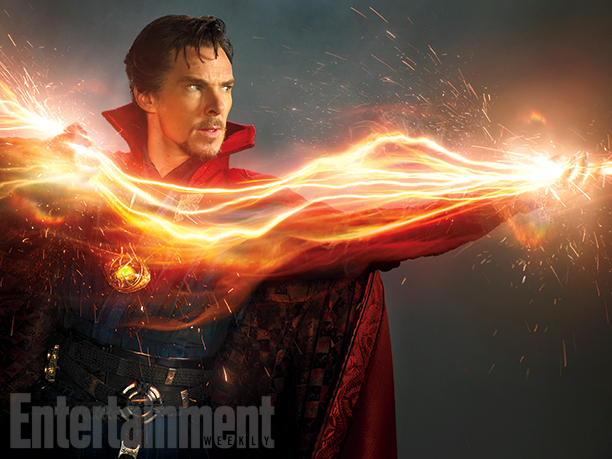 Doctor Strange is scheduled for theaters on November 4th, 2016. The film also stars Tilda Swinton as The Ancient One and Chiwetel Ejiofor as the villainous Baron Mordo. Rachel McAdams and Mads Mikkelsen also have roles, but exactly whom they will play will be revealed when the latest issue of Entertainment Weekly hits stands on Tuesday.